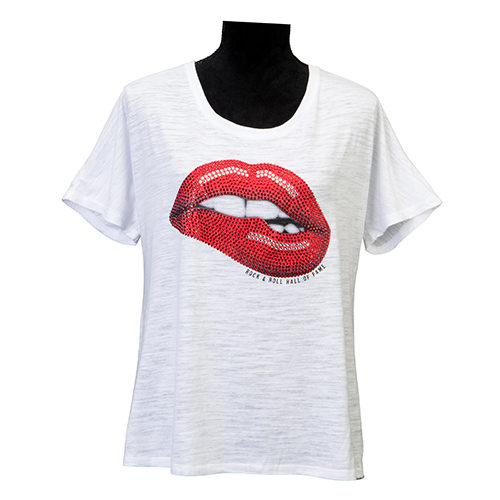 Women's relaxed fit t-shirt decorated in rhinestone red lips. Due to the delicate nature of this garment we recommend hand washing, inside out and hang to dry. 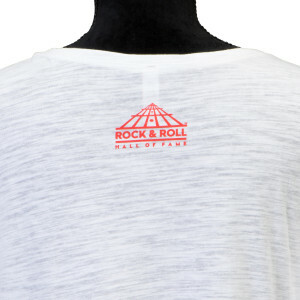 Do not dry with heat or iron as this can cause damage to the rhinestone decoration. Missy sizing: S (4-6), M(8-10), L (12-14), XL (16), 2XL (18).